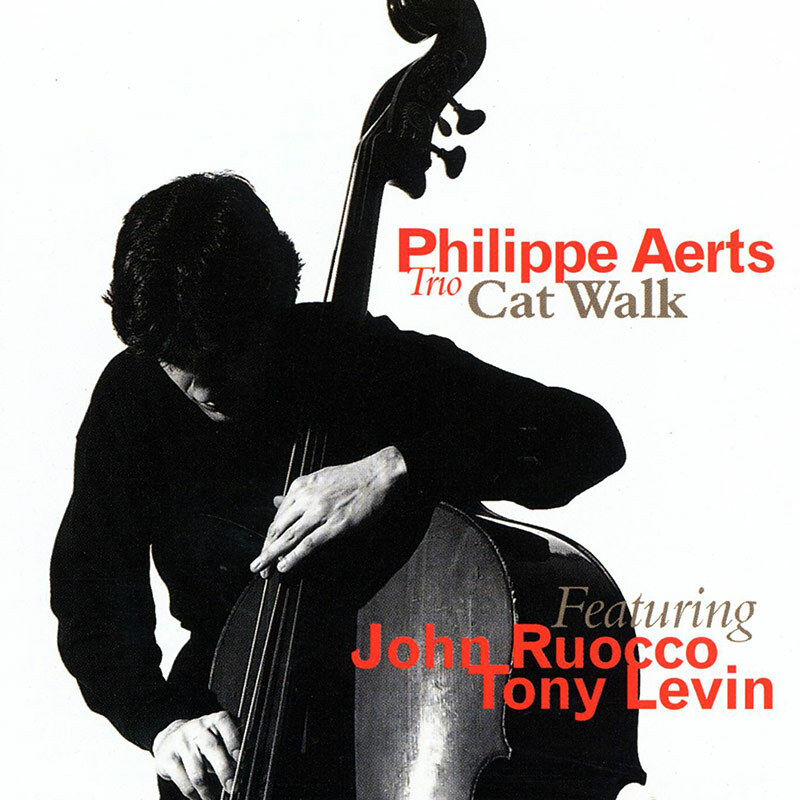 Philippe Aerts was born in Brussels in 1964. His father introduced him to double-bass and to Jazz. Very soon, he has been able enough to play with some Dixieland bands and does many concerts all over Belgium. Then, he met the pianist-composer Charles Loos who introduced him to Modern Jazz. Becoming one of the most “in demand” bassplayers, he had the opportunity to play with some of the greatest artists touring in Europe: Joe Henderson, Joe Lovano, Tom Harrell, Steve Grossman, Mal Waldron, Lee Konitz… And beyond them, he discovered a special complicity with John Ruocco and Toni Levin, english drummer with whom he felt immediately close to in the Philip Catherine trio. That’s why he naturaly asked them to join him for his very first recording as a leader. Well known as a side man, he can already be heard on more then 20 recordings.